You are using high-performance presses and want smooth production under the most demanding conditions. Around the clock. With total reliability. We can support you in this with a comprehensive range of technical services. Our worldwide SystemService offers you the support you need for top performance. We can fix faults in a flash. 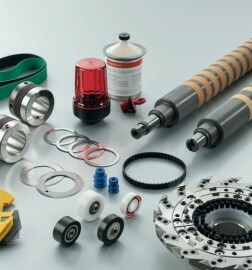 We deliver 95 percent of all service parts within 24 hours, right to you premises. Where this is concerned, it is not just our services that we are constantly developing – we are also continuously optimizing the technologies we use to provide our services in order to keep improving their quality and speed. Our aim is to guarantee you maximum production stability and reliability.